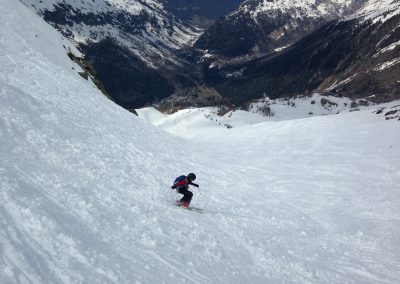 Grand Montet is Chamonix's premier ski area. 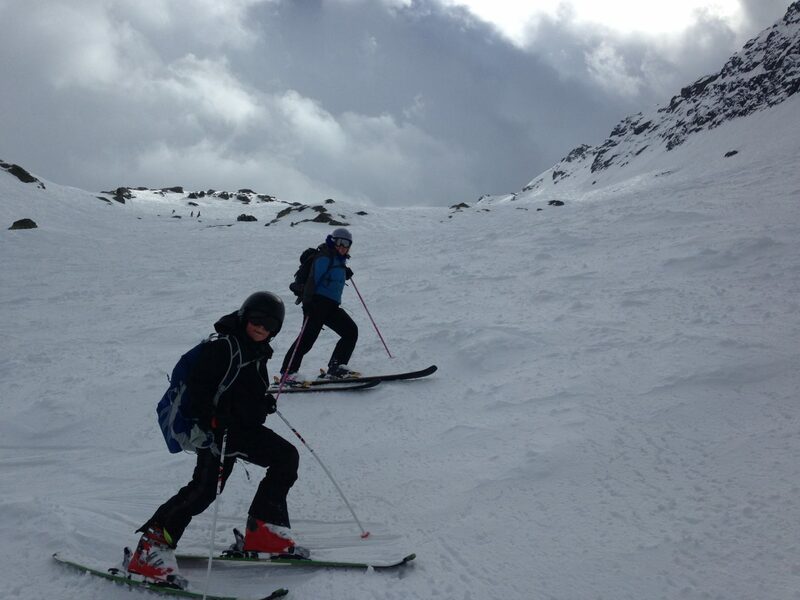 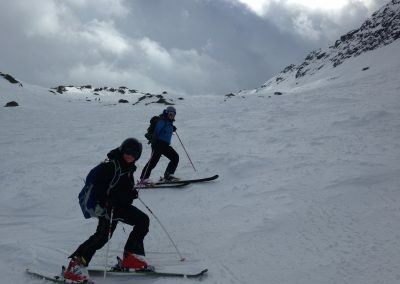 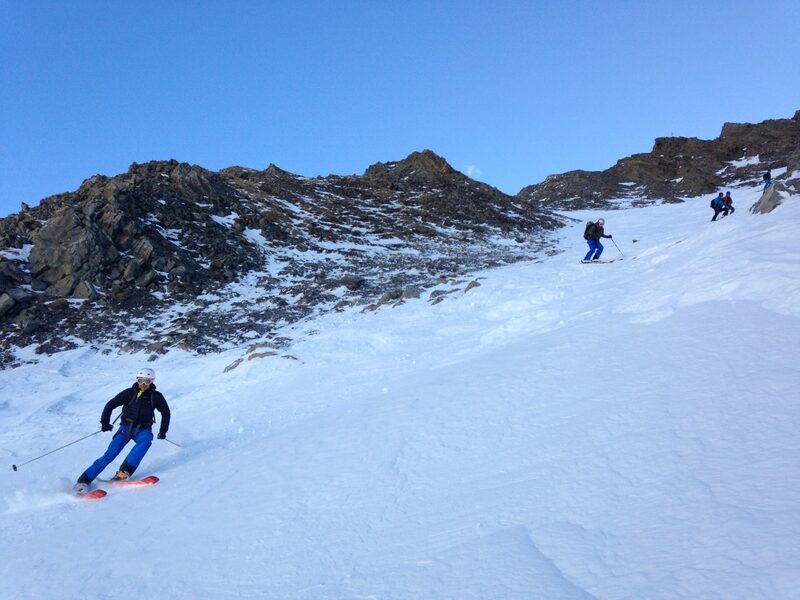 It's north facing slopes offer reliable snow, and the resort is pretty high with the majority of runs above 2000m. 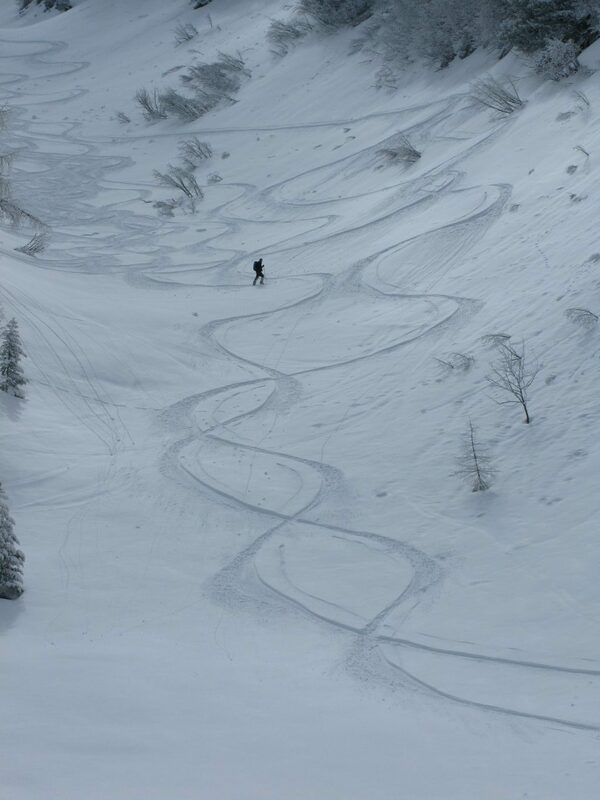 The Grand Montet is shaped like a bowl, with many runs leading back into the main ski lifts at Lognon. 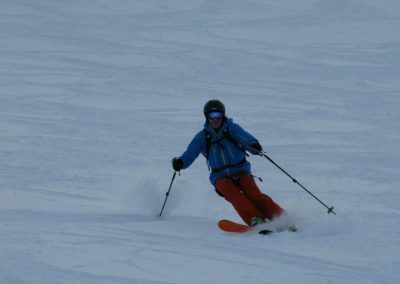 There are various pistes threading their way through the complicated terrain, enough to keep piste skiers amused for a few days but to get the full value from the area you need to head off-piste. 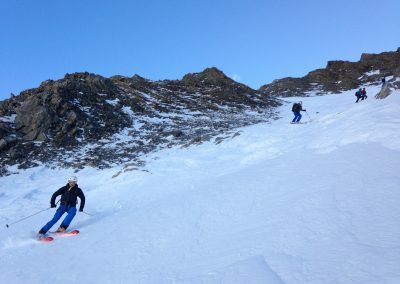 The lifts open up a huge amount of off-piste terrain, from “side country” next to the pistes through to long itinerary runs well away from the runs, including some great glacier runs from the top lift. 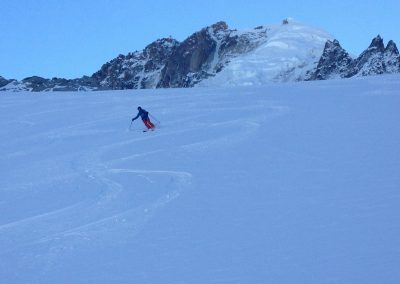 The Grand Montet ski area has some extensive avalanche control as well as a large number of skiers, so the snowpack can settle quite quickly here. 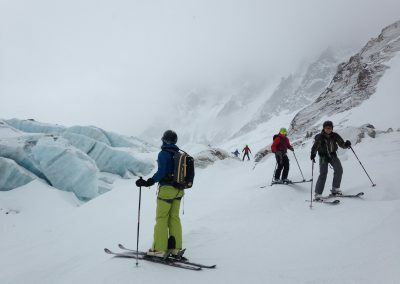 Depending on the route taken, the glacier can be quite crevassed, especially early season. 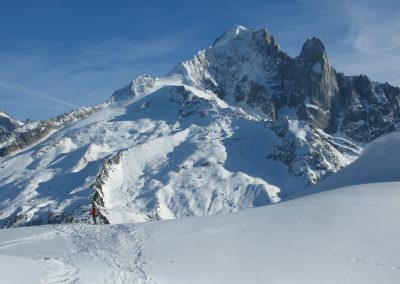 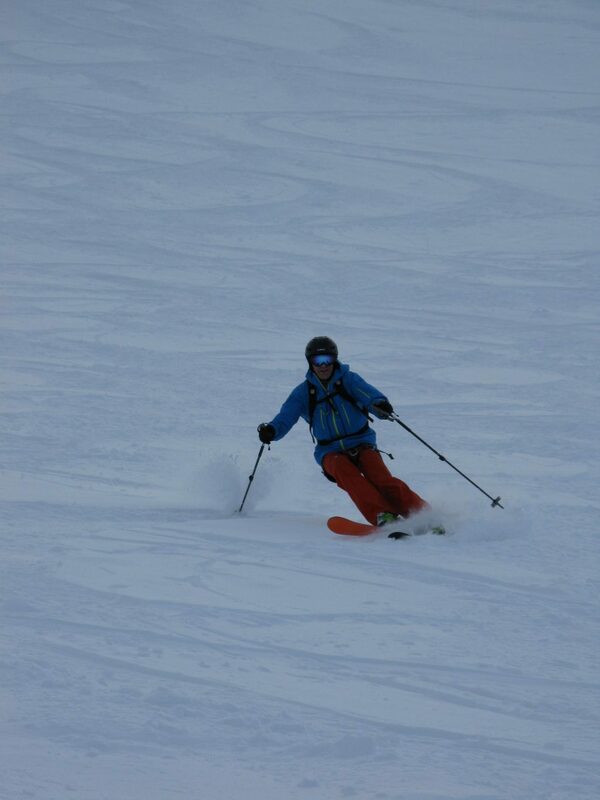 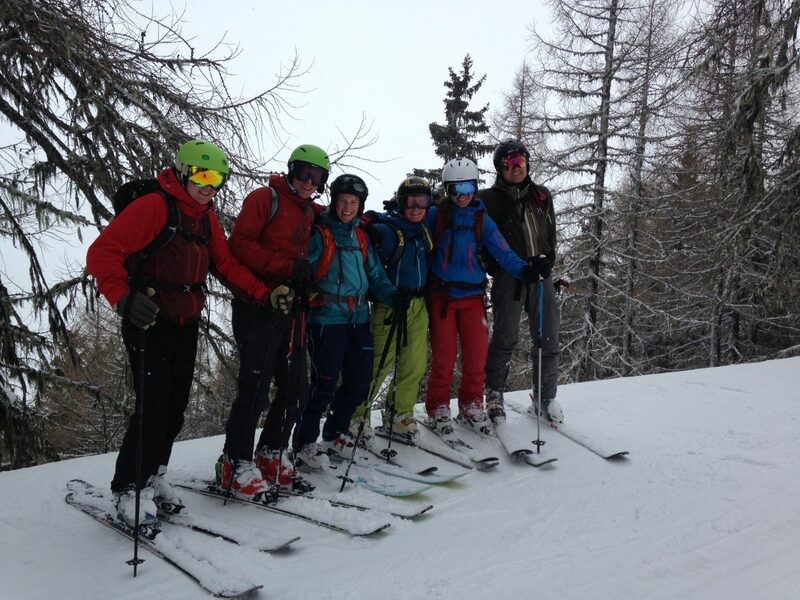 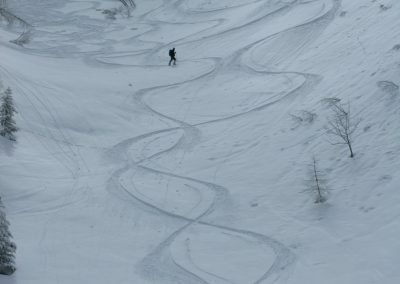 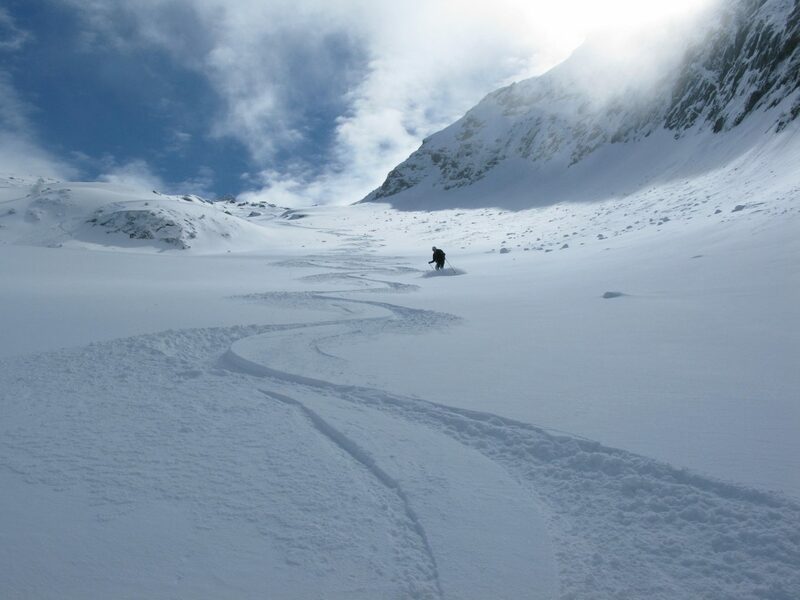 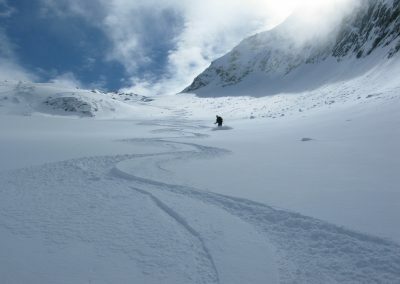 Lavancher bowl – 1000m of superb adventurous skiing. 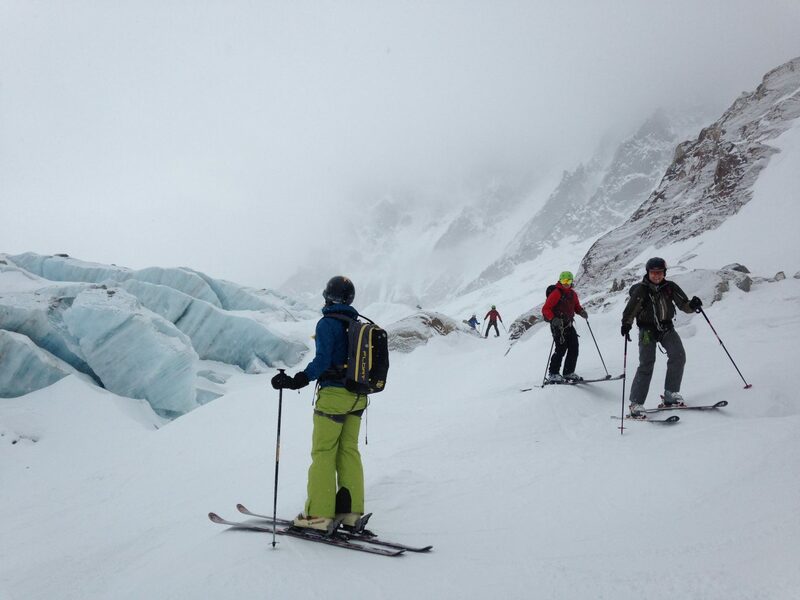 Les Rognons glacier – 1200m of glacier descent amongst the stunning backdrop of the Argentiere glacier. 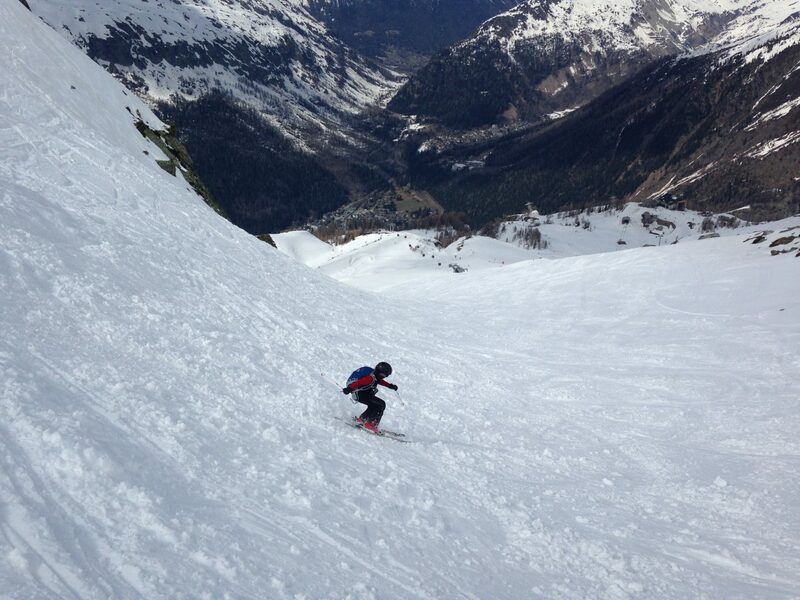 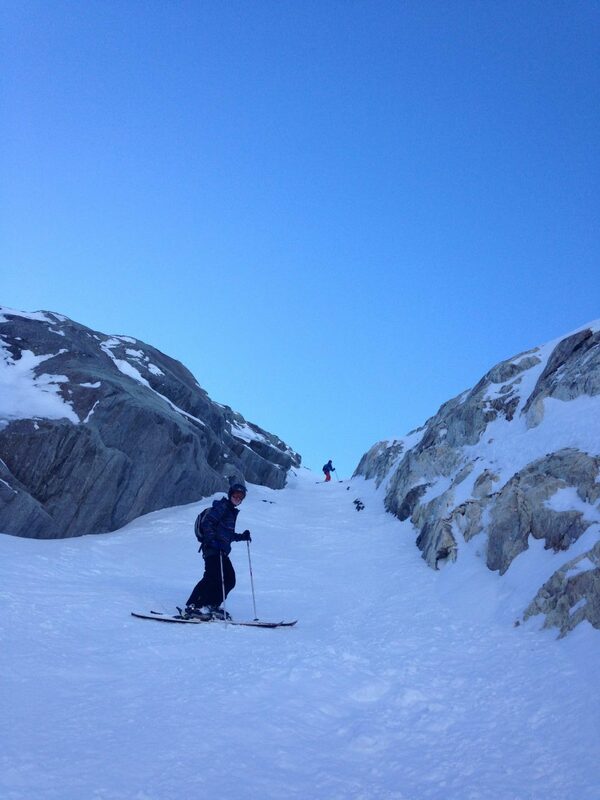 Pas du Chevre – a very sought after route leading down onto the Mer du Glace, skiing underneath the Dru. 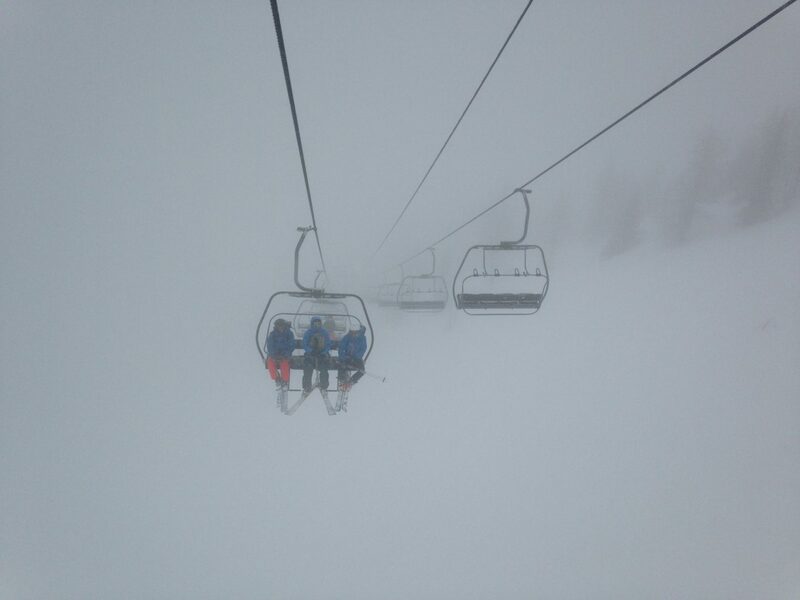 Absolutely superb. 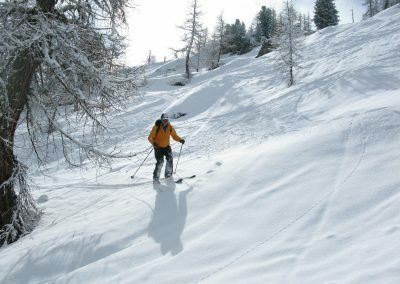 Argentiere, fifteen minutes drive from Chamonix centre. 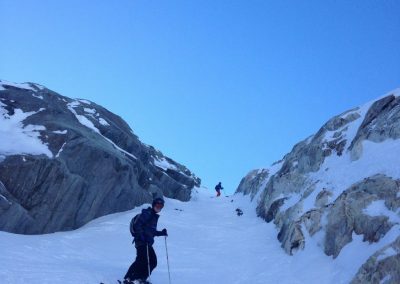 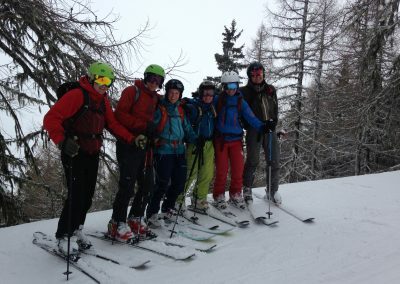 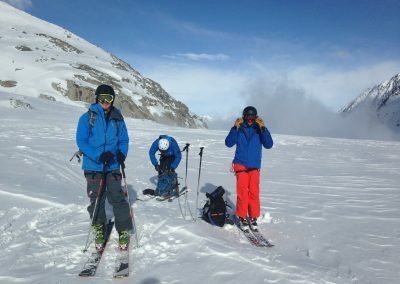 Many classic ski tours start from the top lift at Grand Montet including day tours in the Argentiere basin and longer tours such as the two cols and Haute route.